Use the links at left to learn where water comes from to supply various parts of California. Development of this webpage was funded by a Proposition 50 California Bay-Delta Authority Drinking Water Grant administered through the State Water Resources Control Board. Special thanks to EIP Associates for providing the GIS data for the cities. This site lists the drinking water source for incorporated cities with a population of 10,000 or greater. Data sources: 2005 Water Education Foundation survey, water agencies, and annual water quality reports. Funded by Proposition 50. 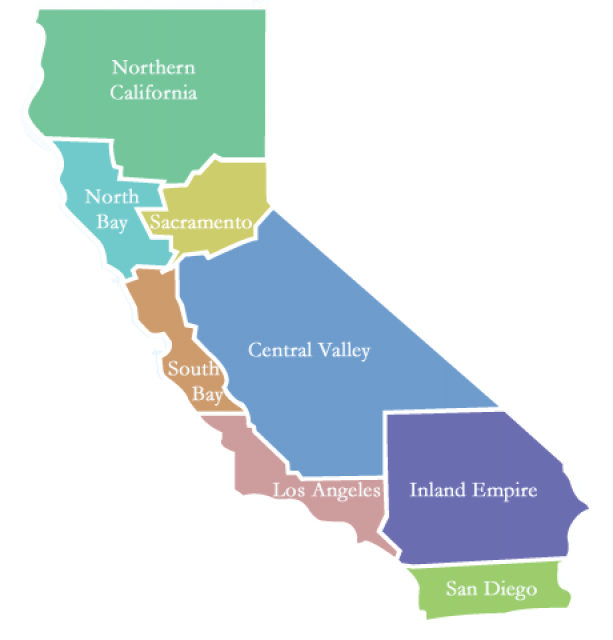 CALFED administered through SWRCB. Special thanks to EIP for GIS data. Pollution that impacts water quality is divided into point and nonpoint sources. Point source pollution is discharged from a known source, such as a wastewater treatment plant or a factory. Point sources are monitored and regulated to control discharges. The leading cause of water quality problems is nonpoint source pollution, the accumulation of runoff from city streets, construction sites and agricultural fields, spills and abandoned mines. Water recycling (or water reclamation) involves treating municipal wastewater to remove sediments and impurities for reuse. As demand for water increases, techniques for recycling and reuse of water become more attractive. Using recycled water reduces reliance on increasingly scarce and expensive surface water and can minimize groundwater overdraft (extracting more water than is replenished.) Additionally, as a direct result of water recycling, discharges of treated wastewater into rivers and the ocean are reduced.